Harder, Faster and Stronger; Run as one, as a team and finish as a family. Running teaches children to move forward even if you are at the weakest point of your strength. 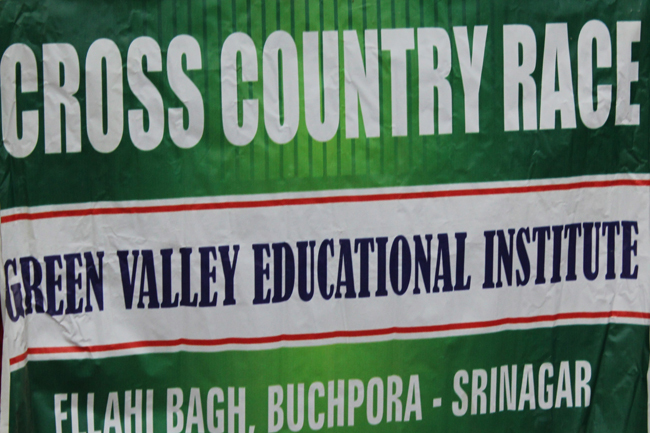 Green Valley Educational Institute on Saturday (13th April, 2019) organized the Annual CC Run “Run for Fun” for its students. It was flagged off by Mr. G.N. Var – President Private School Association, J&K, at Sir Syed Gate, KU (Girls) and Nigeen Park (Boys). The run was concluded at Naseem Bagh Park for the U/14 students and at Duck Park, Foreshore Road for U/17 and U/19 students. More than 1500 students participated in the run. The purpose was to instil the enthusiasm of participation in sports specially runs along countryside to aware them that their participation is not to win the race rather to test the limits of their strength and capability to run as a team.